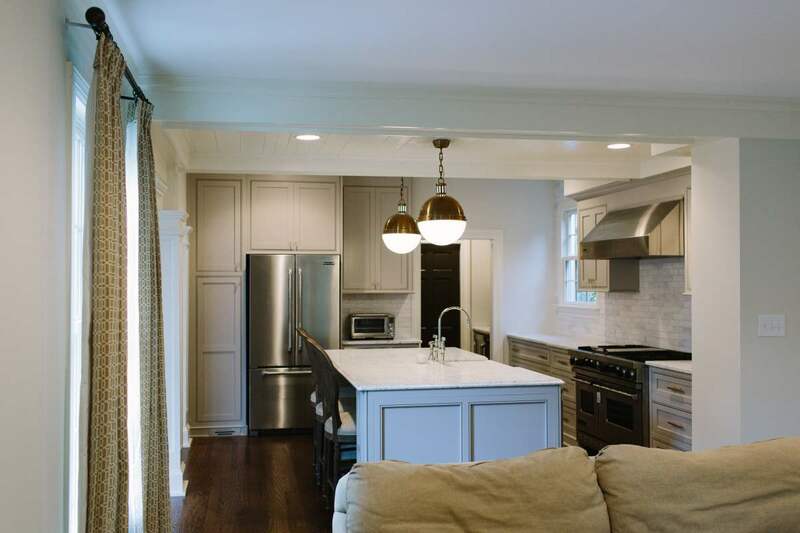 This remodel project was done by Artistic Contractors. The house was built in the 1940’s and had a floor plan that was very closed and outdated. 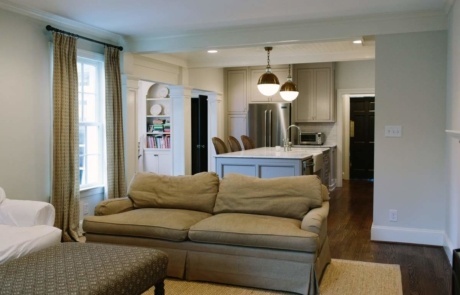 The kitchen and living room were completely separate. We started by providing a more modern approach by opening the space between and doubling the size of the kitchen. 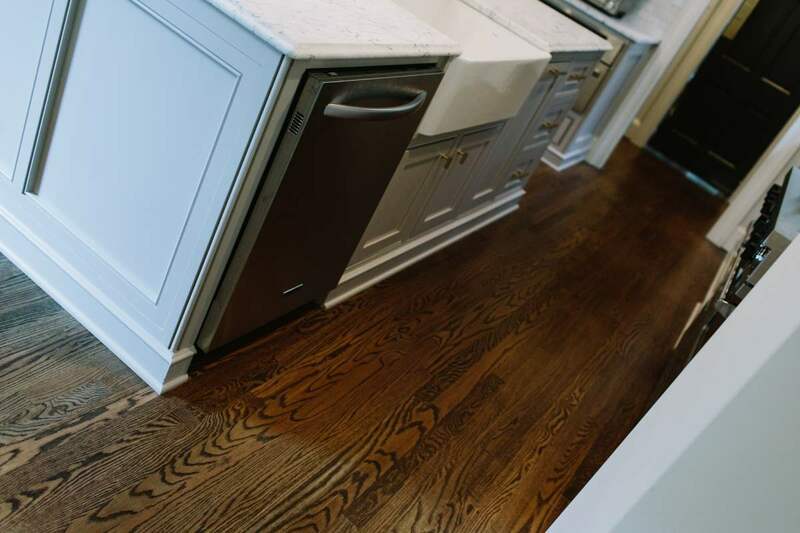 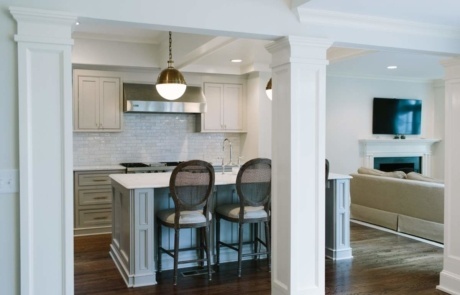 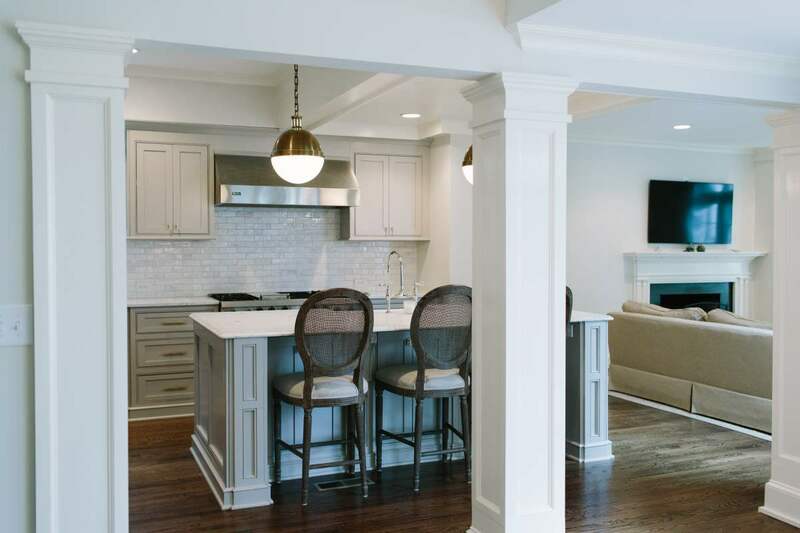 The kitchen was then completely gutted and rebuilt to the owner’s taste. 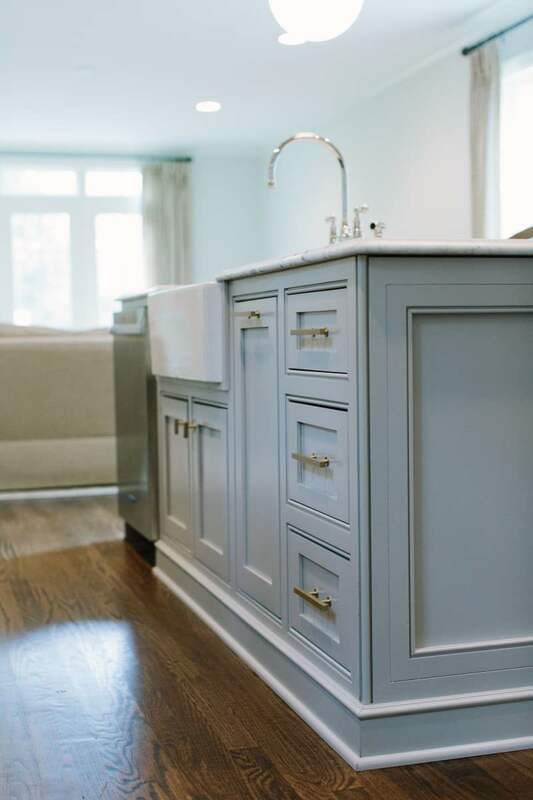 The kitchen includes an 8’x5’ island with a farm sink in the middle. 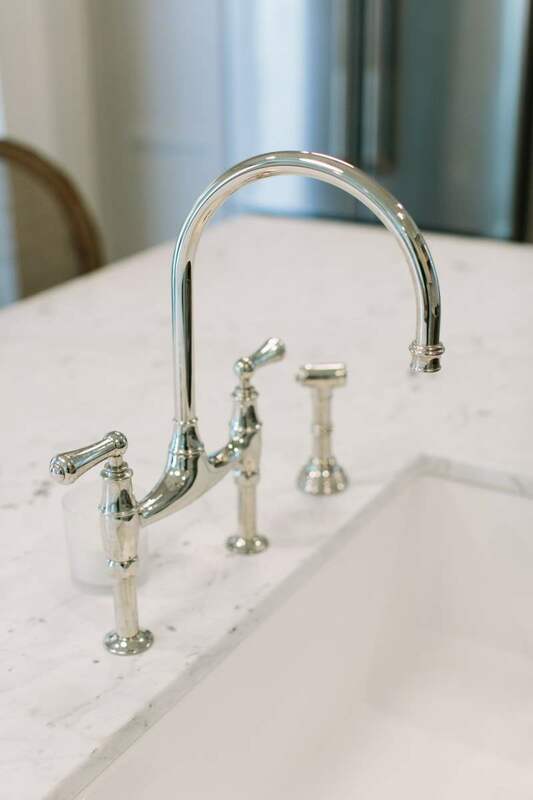 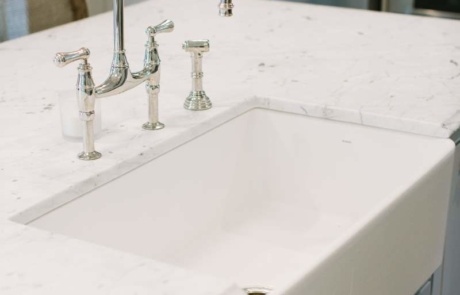 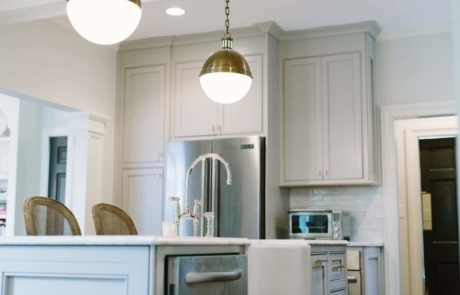 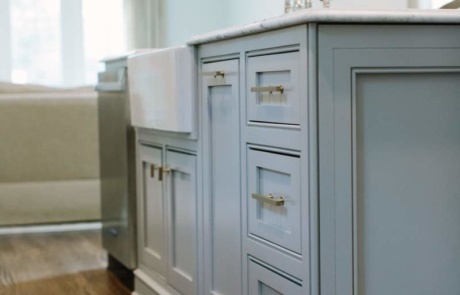 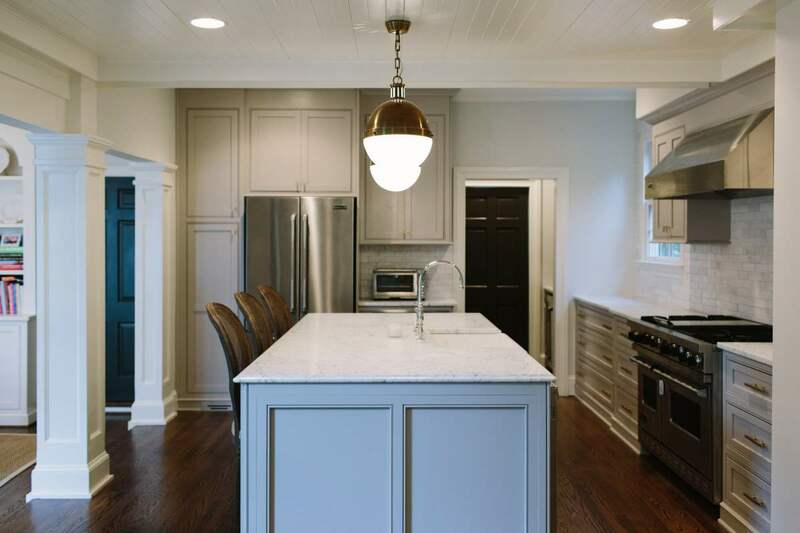 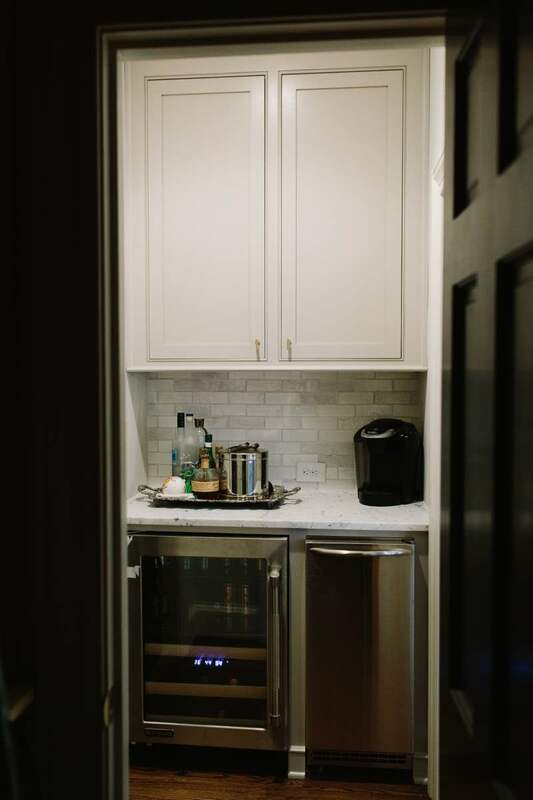 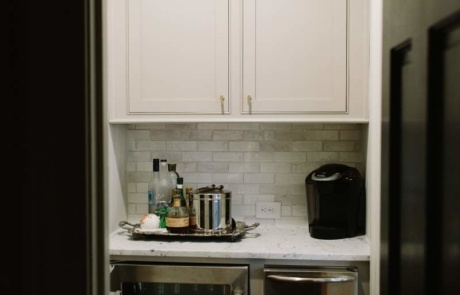 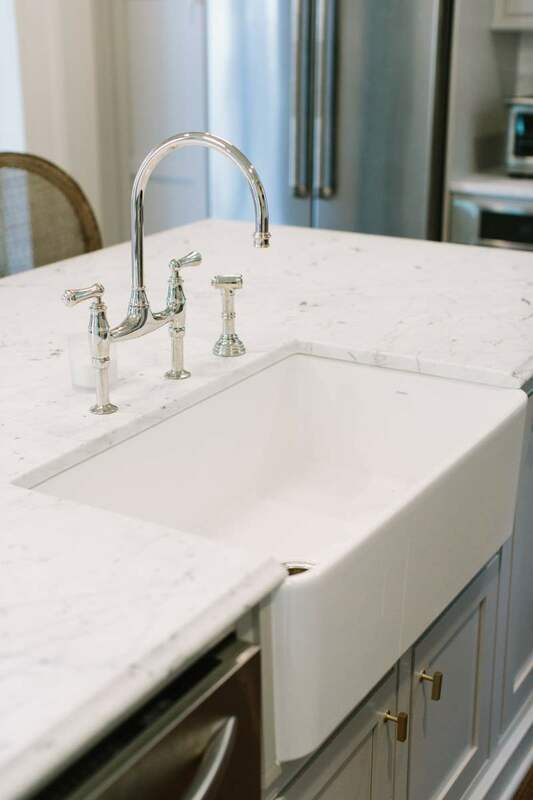 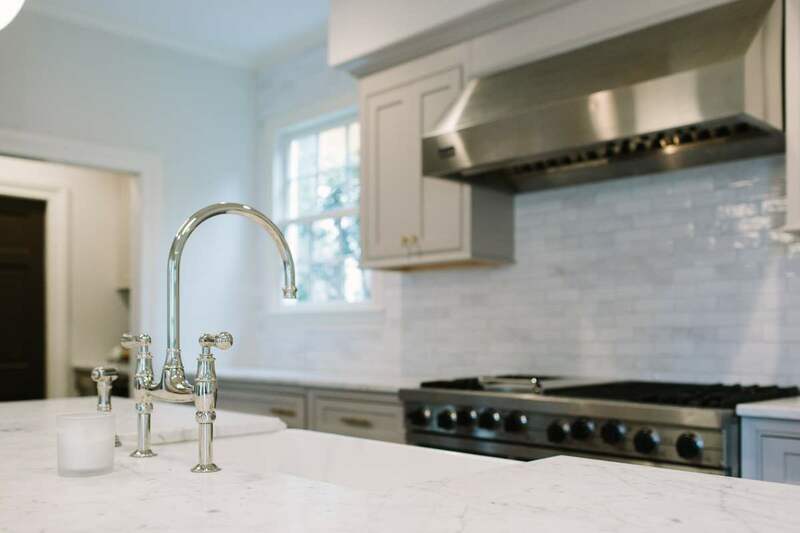 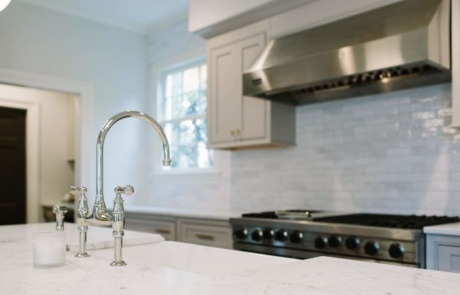 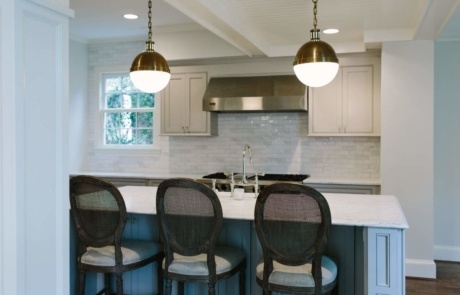 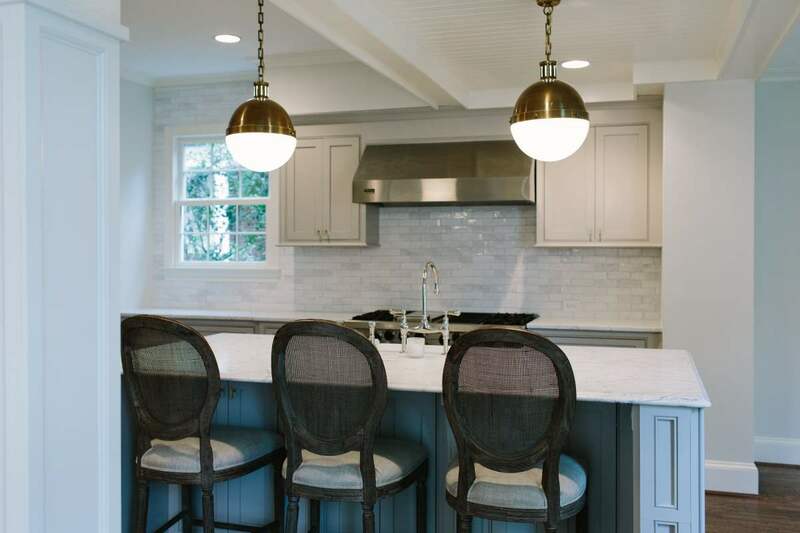 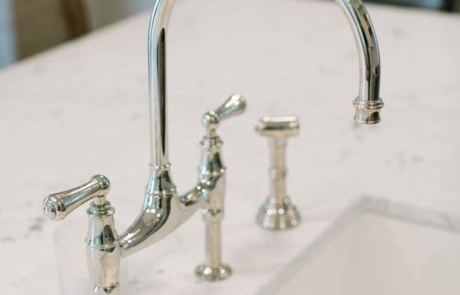 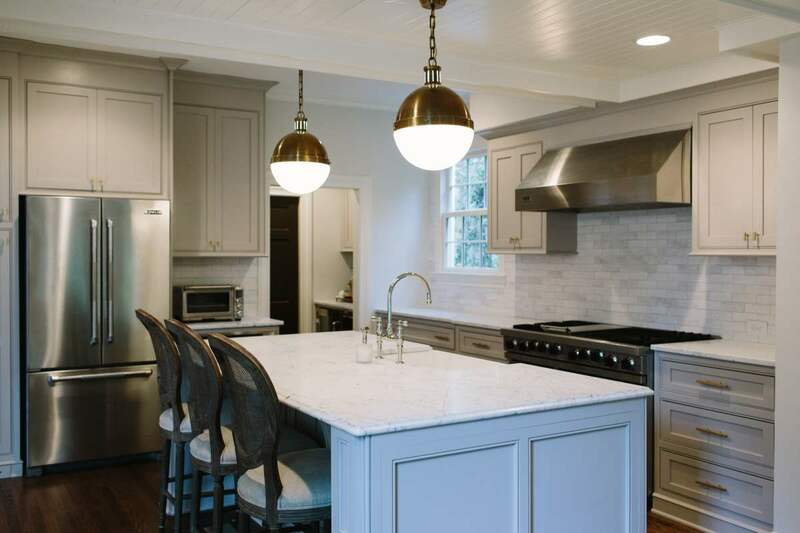 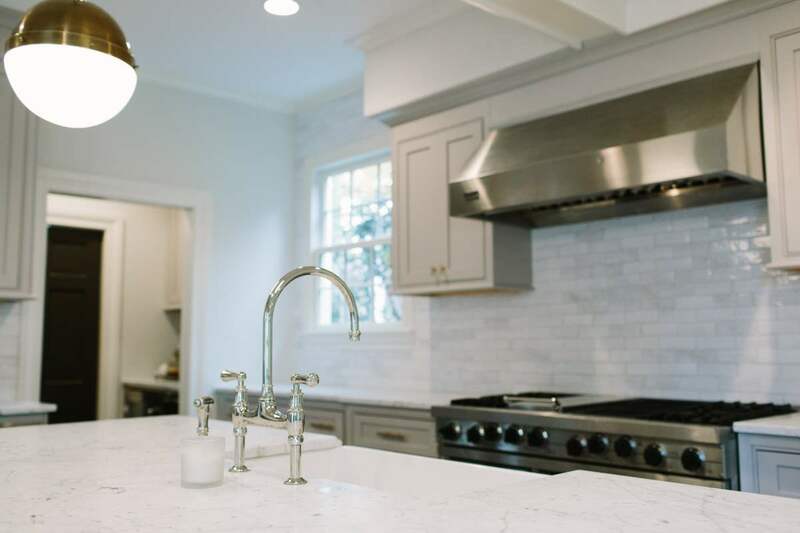 White marble counters are place on custom built cabinets in a light gray lacquer finish. 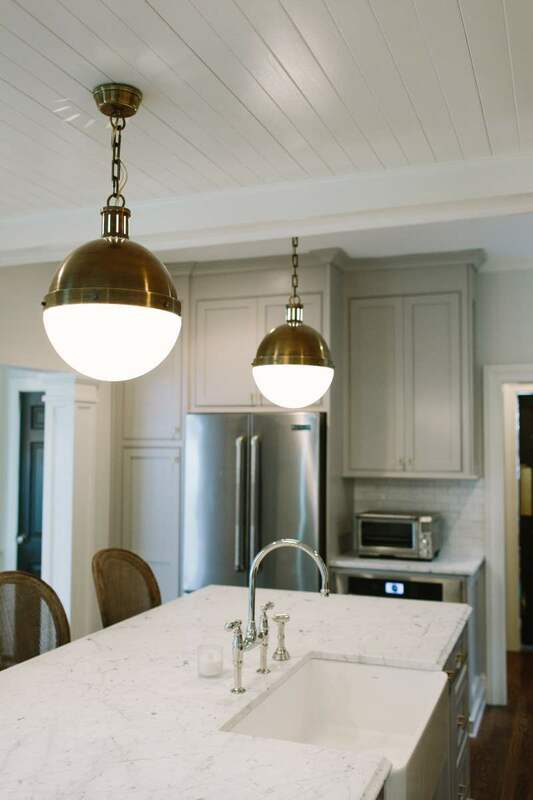 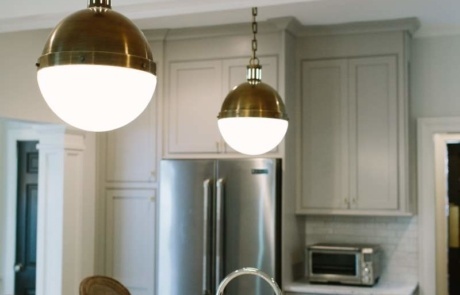 Above the island are two custom brass pendants.